"The Owl and the Pussycat went to sea in a beautiful pea green boat..." Edward Lear's sweet and delicious poem stirred my boys' early imaginations on food. "They dined on mince, and slices of quince, which they ate with a runcible spoon." Son #2, who was in kindergarten then, just had to have this two-in-one convenience. A "spork" would definitely spare him the difficult task of eating properly, as he would only have to deal with one utensil. For the longest time, we would search high and low through antique shops and flea markets looking for a runcible spoon. The English shopkeepers would recite the poem to him, but the spoon remained elusive. 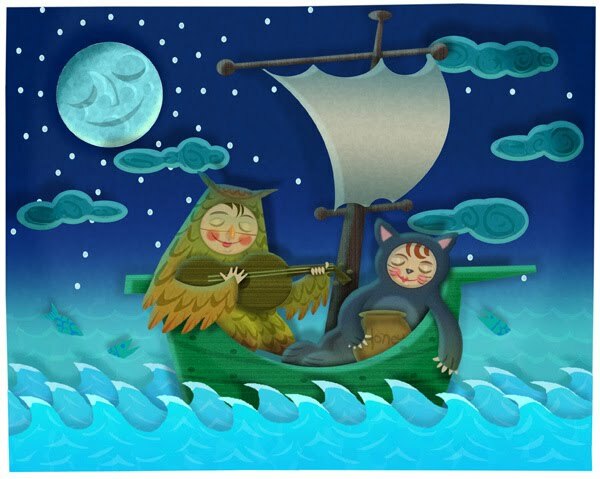 Little did we know that "runcible" was simply one of Lear's favorite inventions, a nonsensical word created primarily for its whimsical sound. Oh well. So what about quince? One of the earliest known fruits, quince trees have been grown in Asia and the Mediterranean for over 4,000 years. It looks like a cross between an apple and a pear. 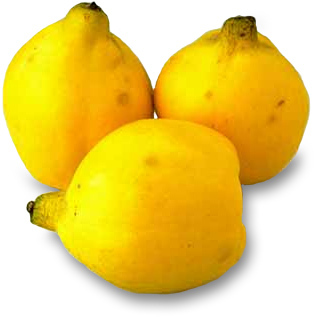 Because of its high tannin content, a quince cannot be eaten fresh. The Owl and the Pussycat would have puckered up from the astringency! Quince becomes delicious though when cooked into a reddish paste, known in Spain as dulce de membrillo, slices of which are eaten with manchego cheese. I found quince paste while on holiday in Australia, and so, a decade after first reading the poem, Son #2 can finally savor the delicacy that the Owl and the Pussycat ate with their runcible spoon! Preheat the oven to 180 deg C. Add olive oil to oven-proof pan on high heat. Season chicken pieces with salt and pepper, brown on all sides. Remove and set aside. Saute onion until translucent, deglaze with white wine. Return chicken pieces to pan and pour chicken stock over. Add the vinegar, quince paste, herbs, cinnamon and lemon zest. Bake in oven for 45 minutes, basting occasionally. Check for seasoning. When done, leave to rest for 10-15 minutes, removing bay leaves before serving. I served this with couscous to soak up the delicious sauce!